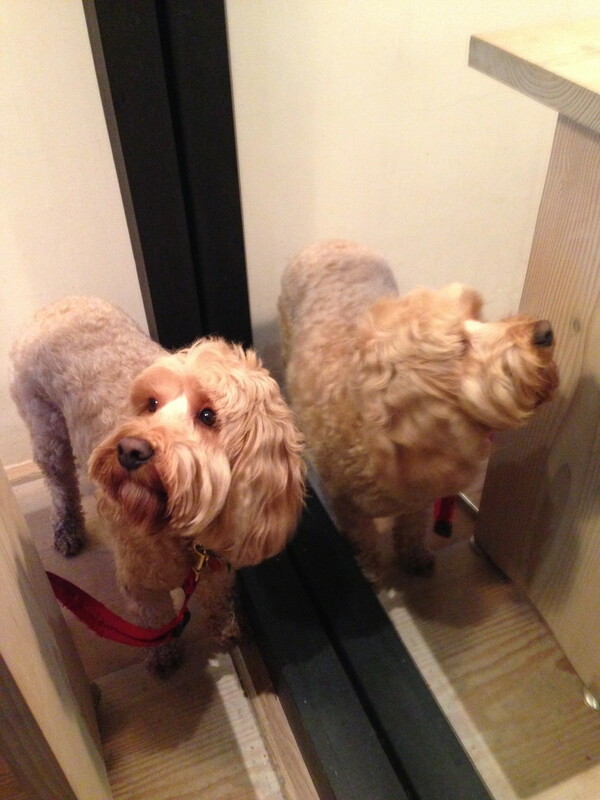 May’s comment: Poilane located just behind Peter Jones at 39 Cadogan Gardens is so casual about dogs – it is fab! 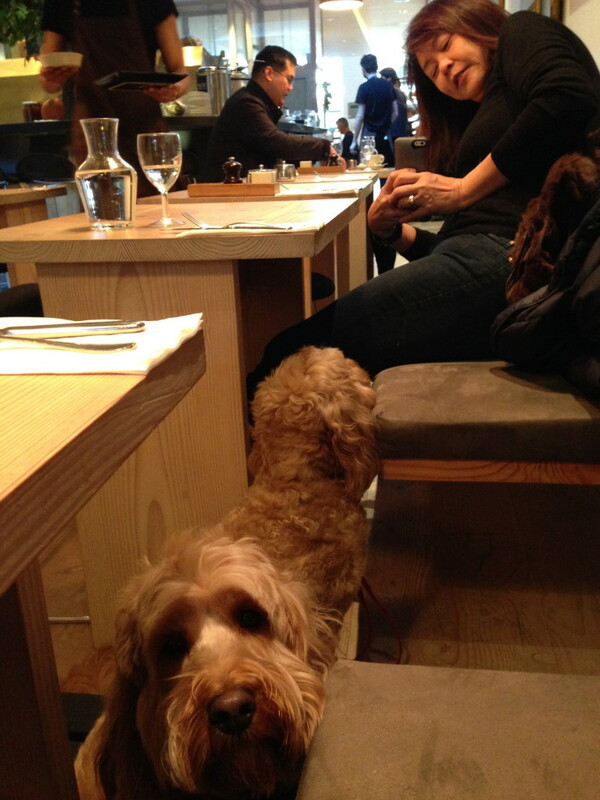 After walking/shopping along King’s Road and after going into all the dog friendly shops, only to stop short at Peter Jones, we stop for lunch at Poilane. Perfect lunch menu – open faced sandwiches with soup or salad or stop for a coffee and a pain au chocolat or any of their pastries. How can you resist that face?!?!?! happy new year to you and miss Darcy. I have been following your blog for a few months now and I love it. I am OBSESSED with my dog Alfie. He is a cavachon. And I want to bring him with me everywhere I go. And when I have to leave him at home I feel guilty and miss him so much. I absolutely understand the frustration of the no dog policy. And when they do let Alfie in, it’s like they are dong us a huge favour. it’s a dog people! That’s why we love to come to Italy. We come to Tuscany twice a year to eat and drink a lot ! 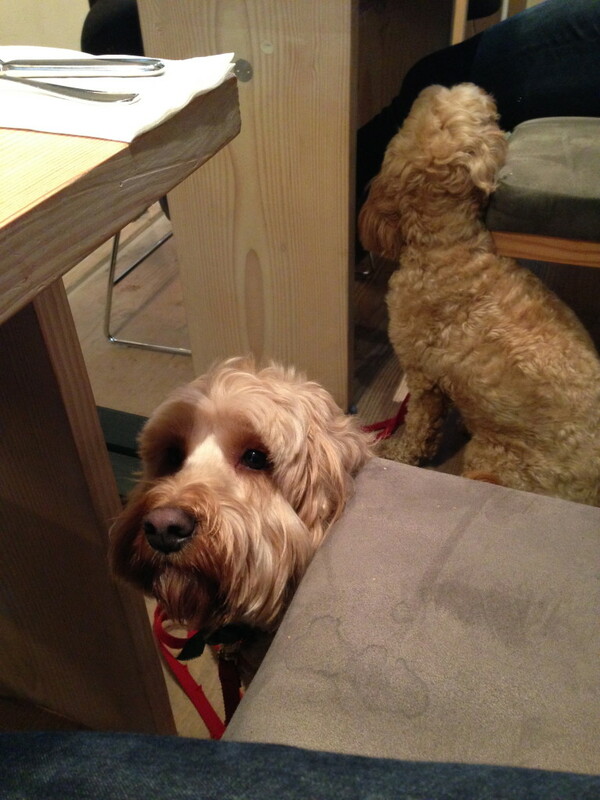 Dogs are allowed in all restaurants, shops and even designer shops. Prada!! It’s absolute heaven here for Alfie and I.
let’s hope there is me more doggy friendly places in London in the year ahead. 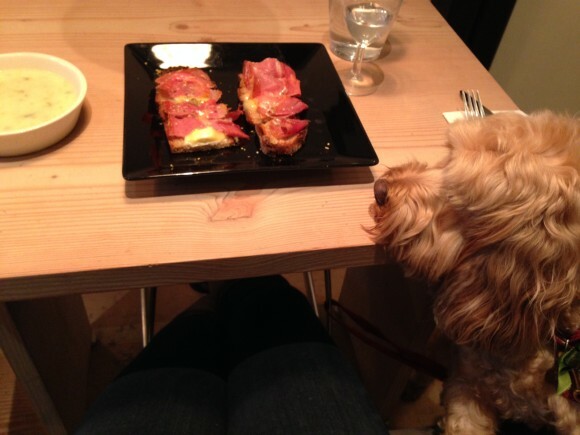 It’s true that a lot of the restaurants and shops in continental Europe are very dog-friendly. Mummy almost moved back to Germany for that reason! But on the other hand, travelling with dogs within the UK, esp London is a lot easier. Our experiences in Paris and Nice were upsetting – two out of three cabs would not take us! Mummy got so mad at the taxi drivers and said – we thought the French love dogs! And we travel for free in UK when we have to pay for train travel in Europe and sometimes we’re not allowed on without a muzzle! As for NYC – forget it! There’s almost nowhere we can go except outdoor seating, and we never went on a bus or taxi – so we walked A LOT!!!! But we could go into shops! Even department stores. So while we have to seek out the places in London, they exist and when we do find them, we love them and can’t wait to tell everyone. There’s a very good app called doggity.co.uk that lists a lot of places. Check them out. Mummy finds it a triumph whenever she finds another dog friendly place – she said she decided to have a dog in her life – and she is not home bound – so there! Hooray! And thank you for reading our postings! We hope you will continue to enjoy reading about our adventures in 2014.